Instant Heartache: How Taking an Emergency Placement Can Really Mess You Up. That was my slightly sarcastic text response to being sent a link to a trailer for the upcoming movie, “Instant Family.” I don’t typically follow movies and TV shows all that closely, so I’d only seen a mention in a Facebook group just the other day but had not seen the trailer yet. The plot of the movie, which purports to be based on a true story (in reality, it could easily be based on many, many true stories), is about a couple who, in the midst of an extensive home remodel decides to adopt a sibling set of three children. If I’m honest, I may teared up a little bit anyway, because caring for kids in need is something that is supremely important to me. But the timing of me getting the message all but guaranteed that I’d have an emotional response this time around. I have been licensed as a foster parent for the past 5 years, and in that time I’ve had 13 teenage boys as long-term placements in my home, here from between two months to three and a half years. The last boy was reintegrated with his mother in July, and it was very shortly after this I decided to pursue my Master’s of Social Work. Working full time, and now going to school out of town, I have decided that it is probably not the best idea to have a full-time placement. I just know that it would be so difficult for me to do both a good job as a parent to a needy teenager, do a good job as a student, and do a good job at my job. That said, when my license renewal came up around the same time as Jay was reintegrated, I decided to go through the rigmarole and paperwork involved, so that I can still provide either Respite or Emergency care. Yesterday I got a message from my worker asking if I’d consider taking one of two boys, both 16 years old for the night. Though I was planning on either tearing apart my shower or cutting a hole in a bedroom wall (earlier in the day I had heard something that sounded like an animal scratching around in the space under/behind the bathtub and determined I needed to get it out) I decided that it was important for the boys to not have to wonder all day long where they were going to sleep for the night, and agreed to take them both. Many times, for a variety of reasons, these Emergency type placements seem to end up getting to the house just about bedtime. But last night they were able to get to the house around 8:00. This allowed a couple hours to talk to and get to know them over some ice cream and watching a football game. One kid had recently been witness to a homicide and was trying to help the person before the EMTs arrived and just officially came into care that day. The other kid has been in care for three years, and was recently told that reintegration wasn’t a possibility and that meant Independent Living (i.e., aging out of the foster system) is the official case goal, which also means he’ll end up being in care for a couple more years. And as we talked, they made it known that they were hoping I’d consider taking them for long term placement. Of course I know that any time a kid ends up in foster care there is, almost by definition, some kind of heart-wrenching trauma that has occurred. But hearing about it from their own mouth certainly puts a personal touch on it. Which brings me to the feelings I’ve been wrestling with. This morning I struggled with saying goodbye to them as the worker picked them up. Should I say, “Good Luck!” or “I hope they find some place for you soon!” or whatever, while knowing that I may not see them again at all. I settled with saying goodbye and that I was glad to get to know them a little bit. And I feel awful about the whole thing. It is terrible thinking that this is the likely fate for these boys and there isn’t a lot that I can realistically do about it if I am being totally honest with myself. So right now, my feelings in relation to starting out with grad school and everything that entails are all centered on being frustrated with the fact that I can’t or shouldn’t do much of anything else to help these two individual boys. But I am trying to maintain the hope that saying “no” to these boys will help “future me” be able to better care for many boys like them in the future, either as a parent, or as a therapist or social worker. I believe that to be able to preserve your ability to do this long term, it is important to understand what you can and cannot do, and to guard that and be careful to not bite off more than you can chew. Otherwise, you’ll end up hating life and questioning every decision you’ve ever made-all the way back to whether you should have eaten that paste in kindergarten. 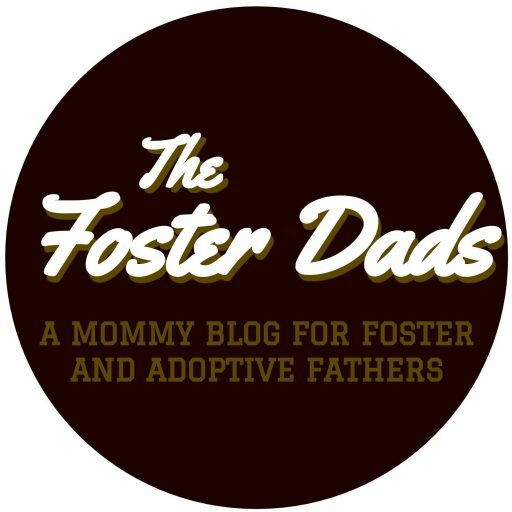 If you are upset by the stats on foster homes, consider doing it yourself and/or other ways you can get involved. If you’ve got questions, give us a shout. Zach and I both would be more than happy to point you in the right direction and give some pointers.